The biggest night of music was full of ups and downs but we can say it was spectacular. The 2019 Grammy Award show returned to the West Coast on Sunday after a brief last year’s stint at Madison Square Garden in New York and the audience enjoyed some pretty amazing performances, presenters and winners’ speeches during this four-hour event. The Voice coach Alicia Keys took center stage at the Staples Center as the host of the 61st annual show. She was the first female host in the last 14 years and she used that privilege just right. Last year’s Grammys were fiercely criticized for featuring only one female winner during the whole show and the lack of Lorde’s performance, the sole female nominee for Album of the Year. This year’s show painted a completely different picture. Grammys 2019 was a true celebration of women and their strength, courage and perseverance, as well as their artistry. For starters, each of the five female Album of the Year nominees got their five minutes to shine. Between the performances, Alicia Keys even asked her “sisters” to join her on stage and Lady Gaga, Jada Pinkett Smith, Jennifer Lopez and Michelle Obama appeared. “Whether we like country or rap or rock, music helps us share ourselves share ourselves: Our dignity and sorrows, our hopes and joys.“ Michelle said. Diana Ross put on a spectacle that had the entire Staples Center on its feet and cheering and Cardi B became the first ever female solo performer to win the Best Rap Album for her studio debut Invasion of Privacy. Lady Gaga shined during the performance of “Shallow” and The Recording Academy also gave the song its due, Grammys for Best Pop/Group Performance and Best Song Written for Visual Media. Gaga was also a winner for Best Pop Solo Performance for “Joanne”. Dua Lipa won Best New Artist award saying she was honored to be nominated with so many amazing female artist this year and that it seems they “stepped up”. This was direct response to Recording Academy president Neil Portnow who said last year that women needed to “step up” if they desired more representation at the Grammys. Kacey Musgraves won four Grammys including Album of the Year and Best Country Album for Golden Hour. Brandi Carlile went home with three Grammys, including Best Americana Album for By the Way I, I Forgive You and Ariana Grande grabbed Best Pop Vocal Album. 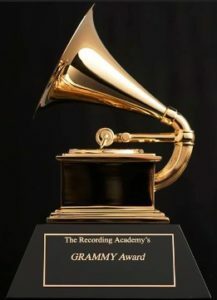 It seems that this year’s Grammys really made up for the last year’s telecast. This year, it was all about the girls’ power.